Healy is at Mile 248 Parks Highway twelve miles from Denali National Park. There are good hotels, restaurants and other visitor services. 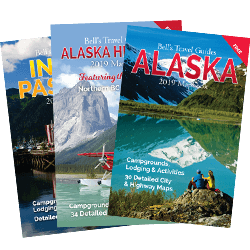 Because of the numerous hotels, bed and breakfasts, lodges and its proximity to Denali National Park, many visitors prefer to base themselves in Healy. 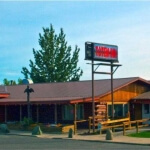 The town offers an excellent alternative for lodging and exploring Denali Park without the crowds of people that can be found closer to the park entrance. 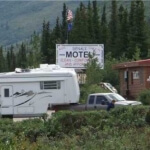 The town itself lies along the Nenana River on the northeast border of the Park. Healy is also home to the state’s only commercial coal mine. Founded in 1943, Usibelli Coal Mine has a work force of approximately 100 employees and operates year-round. Usibelli coal is among the lowest sulfur coal produced in the world. For over 60 years UCM’s success in a harsh climate and remote location can be attributed to innovation in its operations. State-of-the-art equipment and modern methods have maximized efficiency. Currently, an average of 1.3 million tons of coal is produced annually, supplying six Interior Alaska power plants and also shipping coal to South Korea and Chile through the Port of Seward. Greater Healy/Denali Chamber of Commerce at mile 0.4 Healy Spur Road 907-683-4636. Mile 249.5/km 401.5 Keith’s Healy Service Tesoro gas and oil products. Keith’s Healy Service, open 24 hours. 907-683-2408. Tesoro gas, diesel & oil, propane, parts and restrooms. They have groceries, a deli, espresso and ATM machine. 11 miles north of Denali National Park. Large parking lot with easy RV parking.